Cost of treatment is major factor when it comes to dentistry. In fact, it actually keeps many patients away from the dental office and from receiving the procedures they need to keep their teeth healthy. Unfortunately, this only leads to bigger and more costly problems. 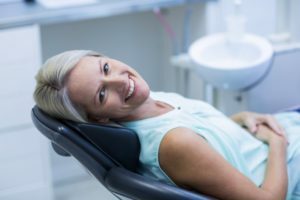 Your dentist in Longmont has some ideas on how to fit dentistry into your budget so you can achieve optimum oral health! Are you ready to hear the time tested and proven secret to maintaining your oral health and avoiding costly dental procedures? It’s consistent preventive care appointments! This refers to your cleaning and checkup procedures recommended twice per year or every six months. These visits truly are your best defense against oral health issues that can lead to costly dental procedures. At your checkup, your dentist will give you a thorough examination designed to detect any concerns such as oral cancer, gum disease, or tooth decay in their earliest stages, allowing you the opportunity to utilize less costly treatment procedures to restore your tooth. Preventive care often helps you avoid these issues in the first place. How Does Preventive Care Benefit Me? Here’s how preventive care works. Say your dentist detects some decay in its early stages in your tooth. You can easily have your tooth restored at this point with a dental filling that costs around $200-$300. This may seem like a high out of pocket cost, but consider what happens if you ignore the decay in your tooth. If you don’t remove the decay from your tooth, it will progress beyond the capabilities of a dental filling and will require a crown to repair. Now your treatment costs are somewhere in the range of $1200-$1500. So now you can see the difference that preventive care makes! If you have dental insurance benefits, the good news for you is that it typically covers most, if not all of your preventive visits. This means no out of pocket costs for you to maintain your oral health. If you should need restorative treatment, it covers a percentage, which helps to reduce your out-of-pocket cost, making your procedures more affordable. If you need more complex or extensive dental procedures, financing your treatment may be an option. Companies such as Care Credit help patients fit treatment into their budgets by breaking it into affordable monthly payments. There are even interest free options available for qualified patients. Avoiding the dentist because of finances can actually make your situation worse! Give your dentist in Longmont a call today to learn how to fit treatment comfortably into your budget and protect your oral health. Drs. James and Dan Maurer complete your dental team at Longmont Complete Dentistry. Dr. James Maurer has been serving patients in Longmont, CO for over 20 years and is proud to welcome his son Dr. Dan into the practice. Offering comprehensive services in a warm and friendly environment is how they’ve built their reputation over the years. If you’d like to contact Longmont Complete Dentistry, we can be reached through our website or by calling 303-776-2214.